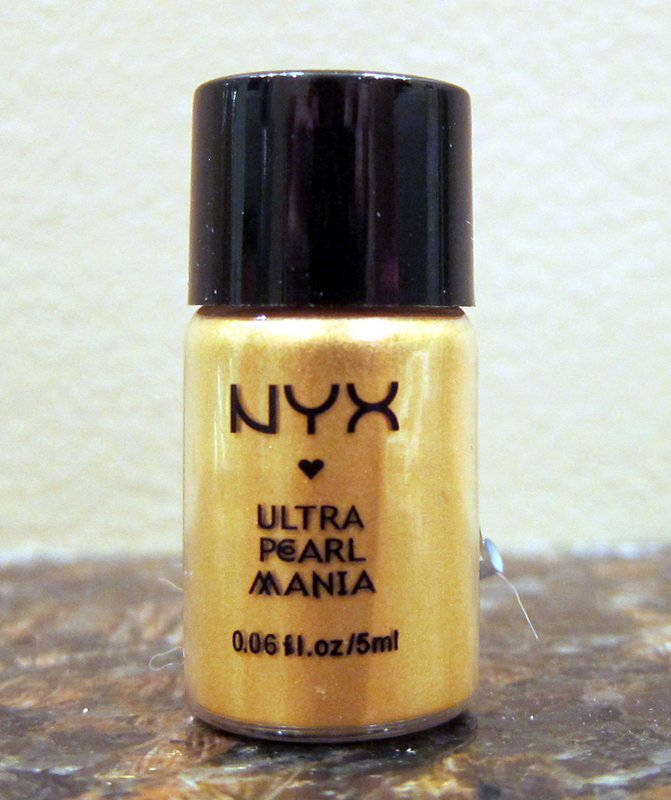 THE SKINNY: If you're looking for sparkle, NYX's Loose Pearl Shadow is an inexpensive option. It's very sparkly and fun. You will need a dedicated brush for this makeup, because it took a good cleaning to get all the glittery bits out of the brush I used with my sample. The bottle doesn't come with any kind of applicator. The color is shiny but not very saturated. (That's probably a good thing for us grownups.) I tried yellow gold, which was much too yellow for my completion and I didn't care for at all. KEEP OR TOSS: Toss. The color was horrible. But at $3 a bottle, I might be tempted to try a different color. CHECK IT OUT: This eye shadow comes in 30 colors.